Emergency Response in 30 Minutes! Losing all or part of your home to disaster is devastating. With our 30-minute response guarantee, we will immediately dispatch a technician to your home for an honest evaluation and accurate estimate of repair services you will need. 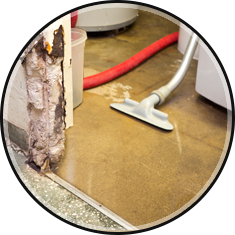 Everyone on our team wants your home to be restored as quickly as possible. We promise to repair and restore your home to as good, or better, than it was before. Securing your multi-family property or business after a disaster is essential for ensuring safe, effecient restoration. MGM Restoration guarantees to be at your location in 30 minutes or less. 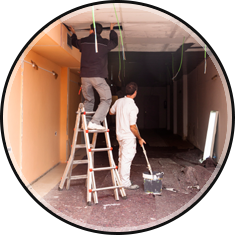 Our qualified team of contractors will work diligently to have your business or commercial property up and running with minimal downtime or disruption to everyday operations. We Work with All Insurers! Ask us how we can save your deductible.